The banded archerfish has a very pointed head; its body is silver and it has a series of dark bands, the first of which crosses the eye and the other the base of the caudal fin. It has a large mouth turned forward. Its maximum size is 24 cm. The banded archerfish patrols the surface and spits out water with great precision and force at insects on a leaf or branch out of the water. The impact can knock a victim over 1.5 metres away into the water. 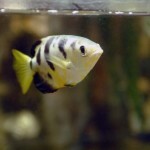 The banded archerfish is an animal that lives in salty waters (intermediate salinity) that are warm (between 25 and 30ºC). It is found in the mouths of rivers giving on to the Indian Ocean (Southeast Asia, India and north of Australia). 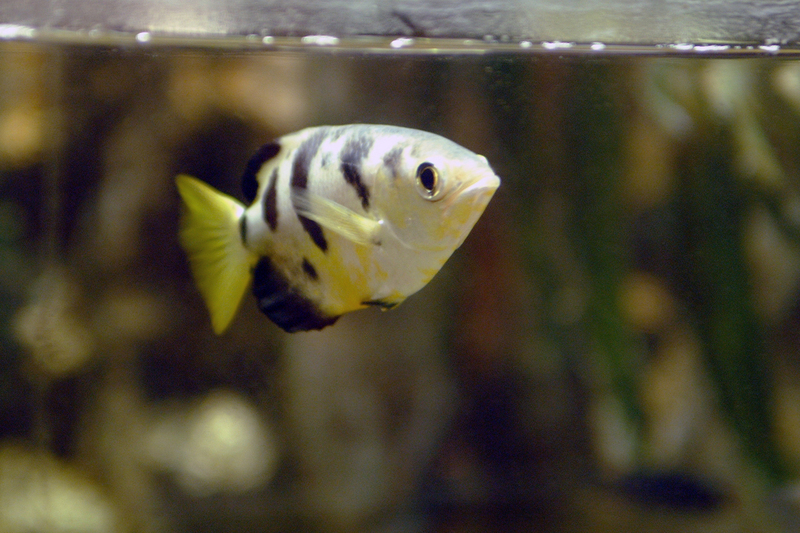 The banded archerfish is the animal that can spit most powerfully.